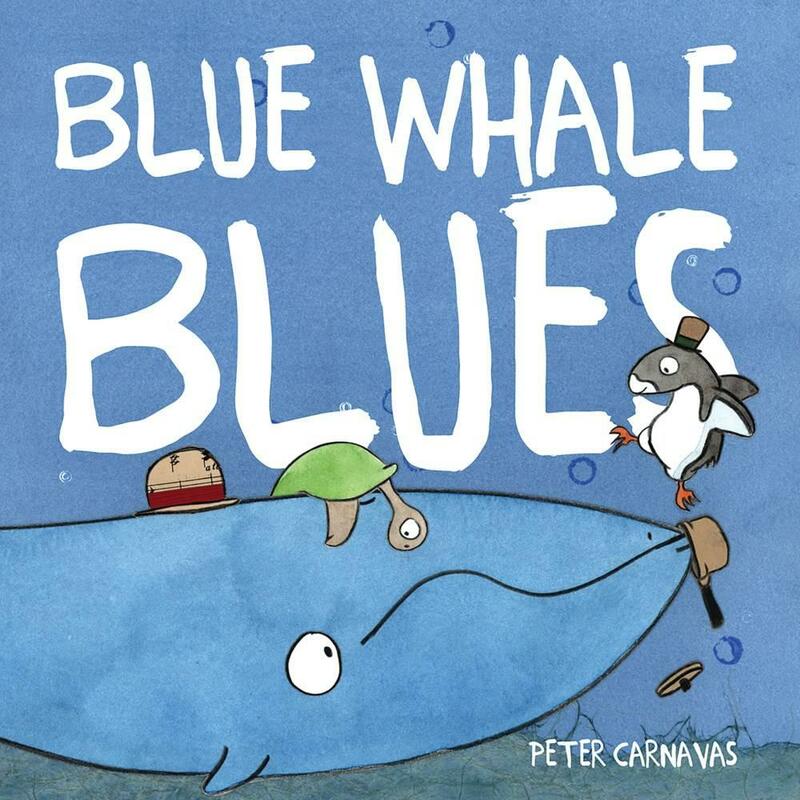 When we meet Whale, he's singing softly to himself, 'I've got the Blue Whale Blues, Blue Whale Blues'. You see, Whale has a problem with his bike — he doesn't know which way up it should go — and that's making him feel a little sad. Fortunately, happy-go-lucky Penguin is around to help. With a cheery laugh, Penguin soon has Whale's bike the right way up. But Whale doesn't stay happy for long. Now he's miserable because his bike is wet. (I know, he's a Whale. He and his bike probably should be wet, but none of us are entirely rational when we're feeling miserable.) Penguin's there to save the day, though, and once again, Whale feels better. This book is sheer Peter Carnavas genius. The gorgeous illustrations, combining watercolour and collage, are hilarious. I would love to be able to describe Whale's bike to you (and his helmet), but I can't — you'll have to check them out for yourself. Behind the humour, however, is an important message about how easy it is sometimes to feel sad or unsettled, but how with the right support we can manage to banish our blues. There's also a free audiobook for kids to sing along to that can be accessed via a QR code on the back of the book.